As we reported earlier, five officers — four police officers and one transit officer — were reported killed by sniper fire in what is being seen as a planned attack. Unfortunately, supporters of Black Lives Matter took to Twitter to celebrate the murders, IOTWReport said. 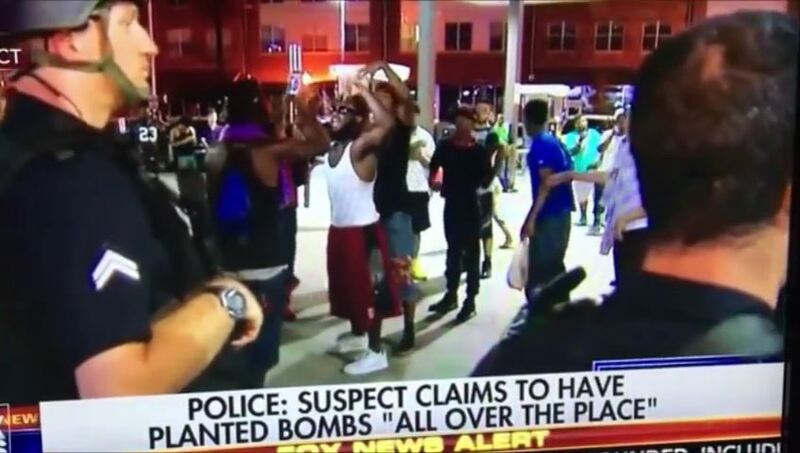 Police regularly kill unarmed black men; tonight snipers took down Dallas cops. Gov'ts better start showing that #BlackLivesMatter, or else. There’s more — a lot more. “There is no contradiction between us supporting law enforcement — making sure they’ve got the equipment they need, making sure that their collective bargaining rights are recognized, making sure that they’re adequately staffed, making sure that they are respected, making sure their families are supported — and also saying that there are problems across our criminal justice system, there are biases — some conscious and unconscious — that have to be rooted out,” he added. A live video report from NBC DFW can be seen here. White Black Lives Matter leader Shaun King calls for banning white people from U.S.